I am writing this post not because of I have visited Gili Trawangan so many times, instead I have only visited it twice: the first one was a daytrip (read our story in this link) and the second one we stayed there for five days. This post is about what we have done during our New Year End holiday in Gili Trawangan. A place which I didn't have to think about traffic jam and what kind of transport should I choose: online taxi or busway. There's only two ways to go: on your foot or on the bike! Well, Cidomo (horse carriage) was too expensive to be used daily. 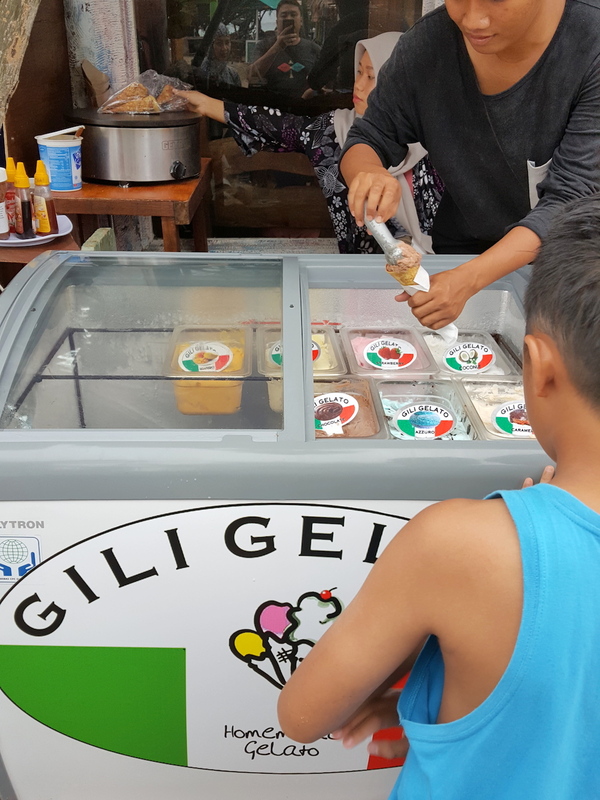 Gili Trawangan is a place where we could slow down, and enjoy our family time to the fullest. I love every second we had spent in this island. I did it once back in 2012, and now it was our turn to take our Kiddos on the public boat from Lombok to Gili Trawangan. 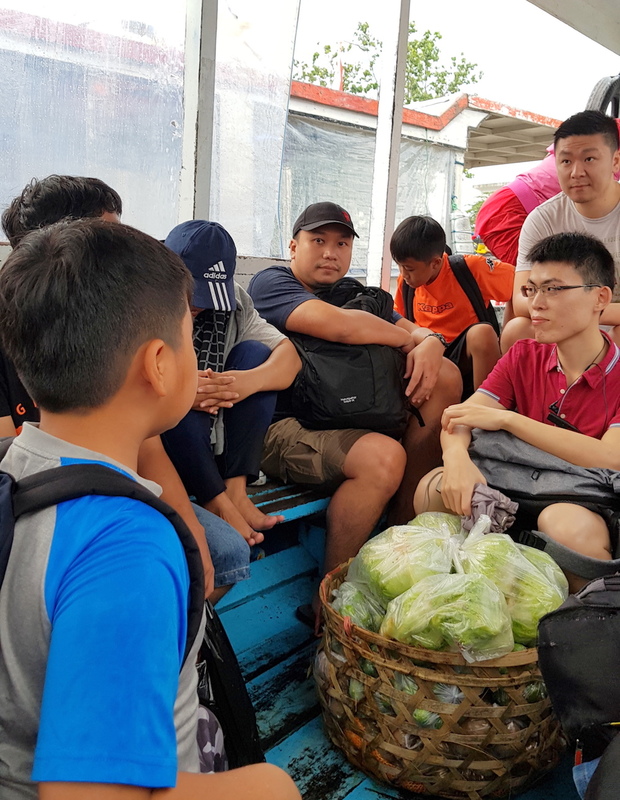 We were transferred from Sweet Peach House (the lovely hotel we stayed in Mataram), to the port called Bangsal by Mr.Komang, our driver. We paid him IDR 150,000. 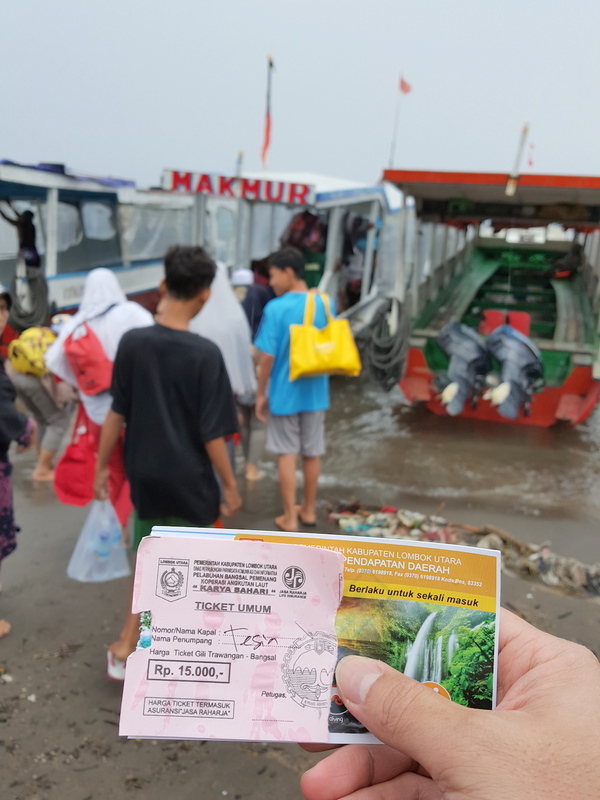 Mr.Komang drove the car straight to the port, and we alight at one building where the ticket counter is located. We bought the ticket which was really cheap. IDR 15,000 per person. We got the pink ticket, and the lady at the ticket booth told us to wait until passengers who have pink ticket are called. After 20 minutes of waiting, it was time for us to go. When we got into the boat, it was already full. But all of us were able to sit. It was a pleasant 30 minutes journey, and we were safe and sound. Yes with the veggies and fruits! 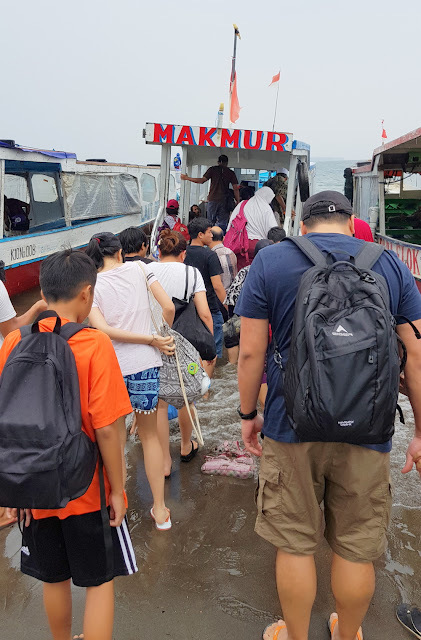 If you choose going the faster way with the speedboat, you will have to go to Teluk Nare ("Teluk" in English is "bay"), which is closer from Mataram compared to Bangsal Port. The chartered speedboat in the peak season is IDR500,000 one way, and it can fit up to 10 person. But if you'd like to take the speedboat, better to call them first. 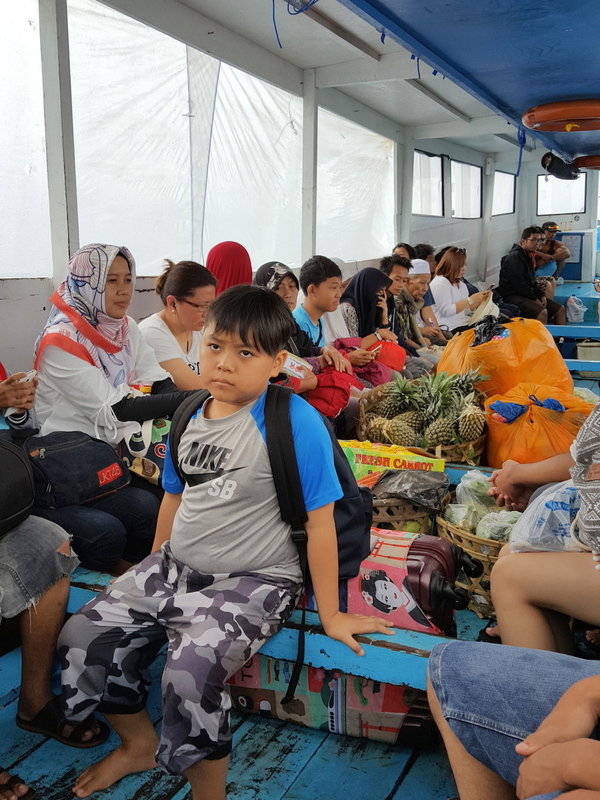 We took the speedboat on the way back from Gili Trawangan to Lombok. It was only 15 minutes ride, but the journey was really bumpy. Anyway, it was nice to try both the public boat and the speedboat. Our speedboat was "Ocean Express"
The most difficult part of our trip to Gili Trawangan is to decide where to stay. 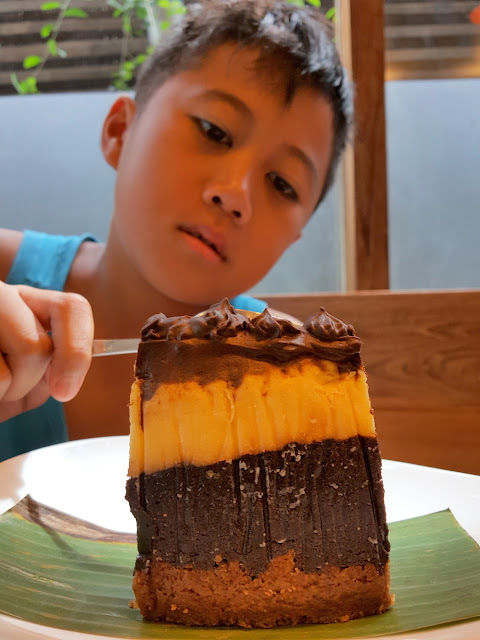 What I did was checking the recommended hotel via tripadvisor, and it led me to Jali Resort. I reserved the hotel via my fave hotel engine website: booking[dot]com after I called them, asking whether I could stay with our Kiddos in one room. They said that they could give us a free extra bed in the room, and that the breakfast will be for 2 adults and 2 kids. Wow! 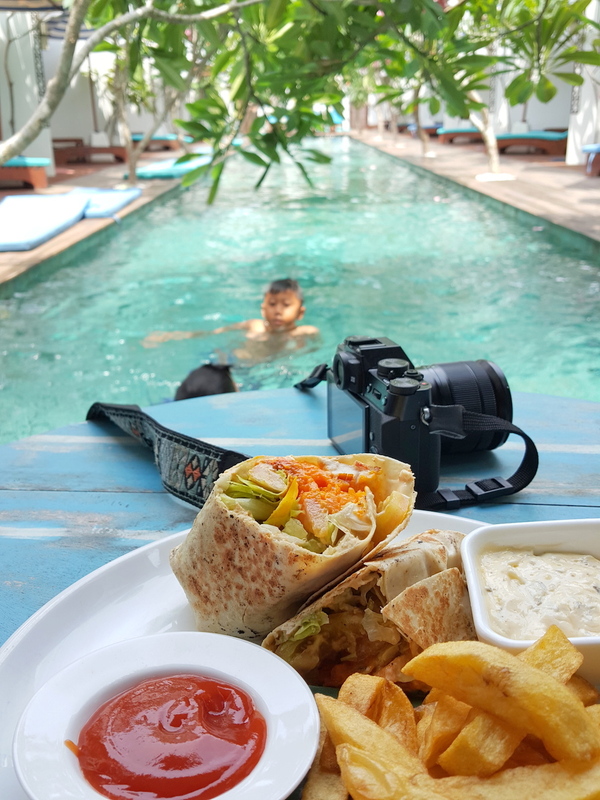 Read our review here: Jali Resort, Why It Is A Recommended Place to Stay at Gili Trawangan. My consideration when choosing the hotel at Gili Trawangan were based on these 4 major items: 1. The hotel has to have a great pool (as always! ), 2. The hotel has to provide free bike, 3. 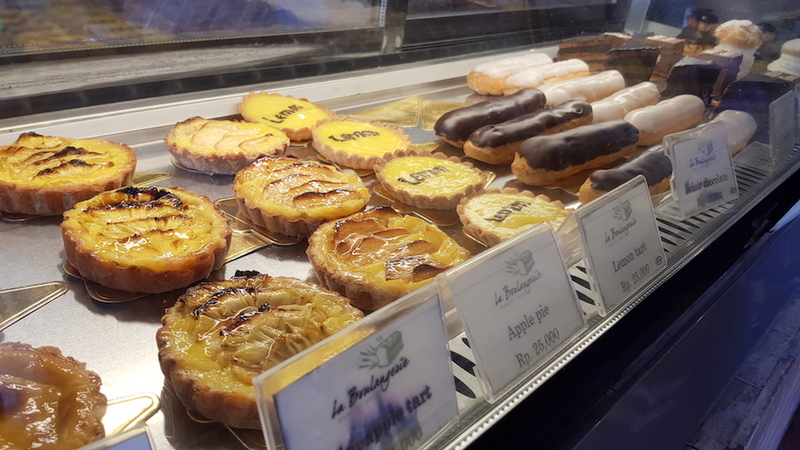 The hotel has to provide good food at reasonable price, 4. The hotel has to be located at the "free area" (meaning away from bars! Hahaha...), and not far from the beach. Jali meets all my requirements perfectly. 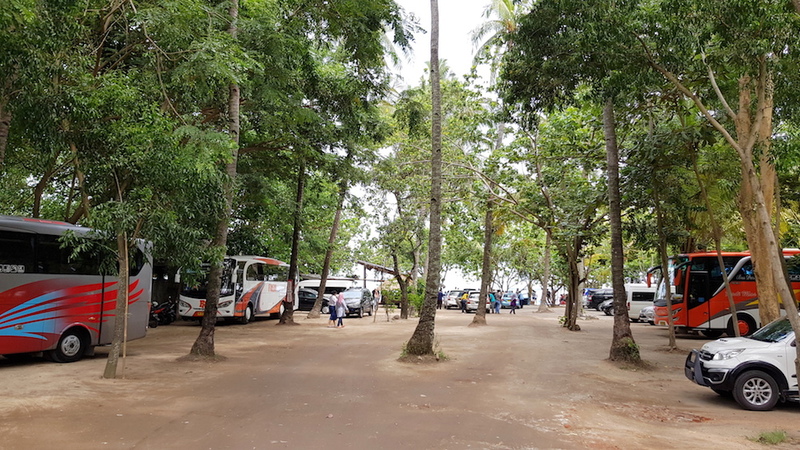 There are plenty of hotels in the island, you have to decide whether you would like to stay in the heart of the island, which maybe very crowded. Or you can stay at the part of the island facing the beach with sunset view (but it is far from the heart of Gili Trawangan). I choose to stay in one area which is far from the hustle and bustle of the island. Yet Jali Resort is located in the central part of the island, so it was easy for us to explore the island. And the fact the Jali Resort provides free bike was awesome! We did not have to spend additional expense to rent bike. The ship in front of the resort was really eye catching! I got the below picture from booking[dot]com website. I also passed one hotel called The Pearl of Trawangan which to me was really impressive but I bet expensive as well. This hotel is located at prime location I might say. 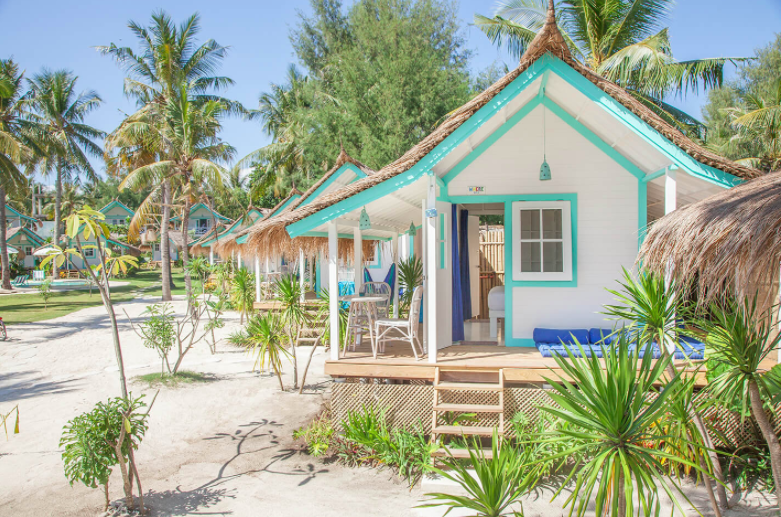 If you'd like to stay at the central of Gili, take a look at Abdi Hotel & Bungalow. It is located near the market, near the port of speedboat, near my fave Kayu Gili Cafe as well. Well, there are hundred of hotels you can choose: your budget, your choice! Just choose whether you'd like to stay at the main beach, or at the beach with sunset view. Choose what kind of pool you'd like to have. 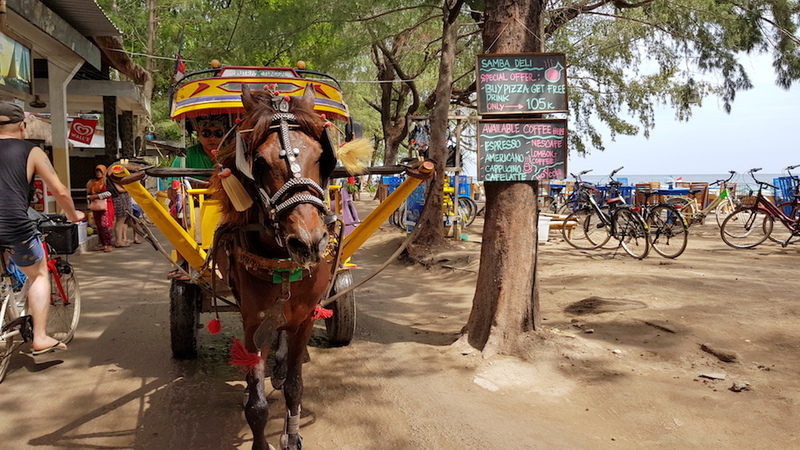 No matter what to choose, take my advise: choose a hotel which offers free bike, as it will be your main transport in Gili Trawangan. 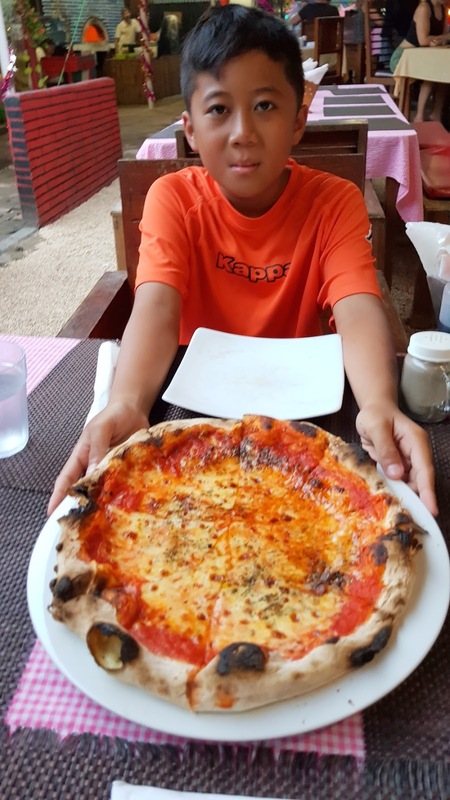 You know, my favourite restaurant in Gili Trawangan is Jali Kitchen, which is steps away from our room at Jali Resort! All the food were yummy, came in a big portion and at reasonable price. Jali Kitchen is always busy during lunch and dinner, so better to come early. The Chicken Wrap at Jali Kitchen is one of my fave! 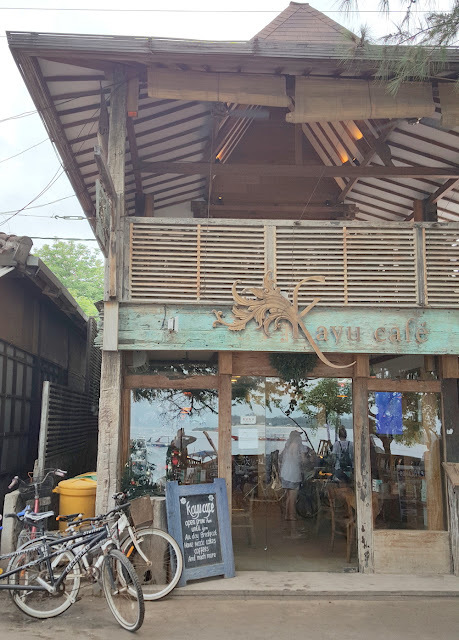 The number two restaurant that I loved so much in Gili Trawangan is the Kayu Cafe. 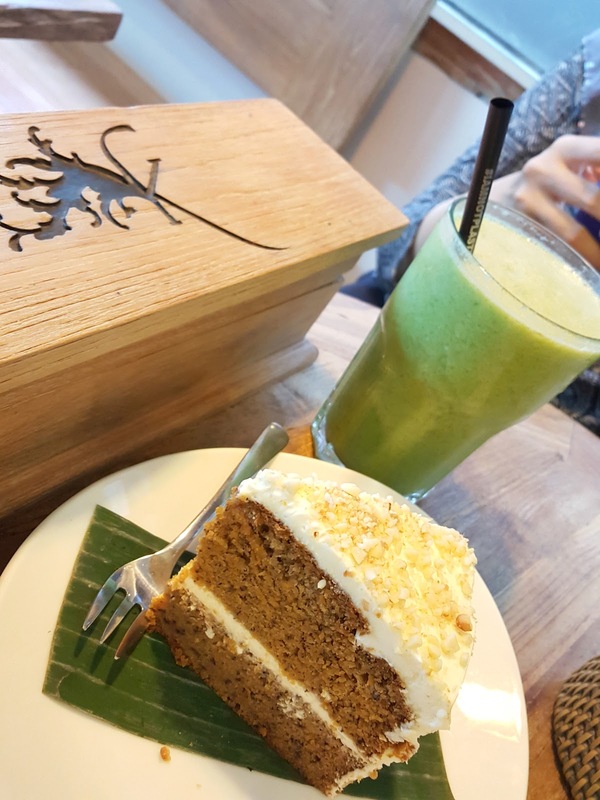 I visited Kayu Cafe almost everyday, because of their cakes and juice were to die for! I was serious when I said their cake is to die for! 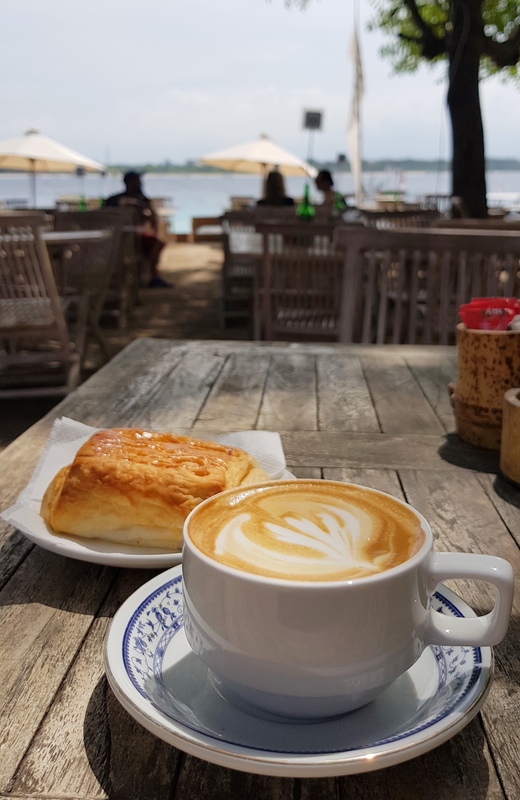 The best coffee in Gili Trawangan for me is the Hart Coffee Lane. 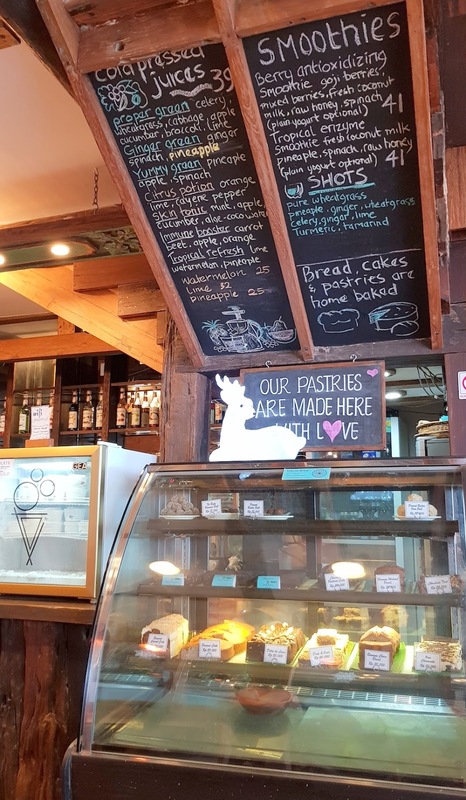 This place was recommended by Eric, the owner of Jali Resort. 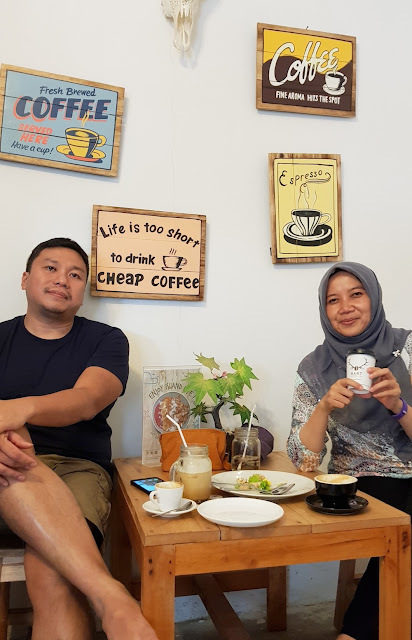 We had a chat one day about everything, and when I told them that I couldn't find good coffee at Gili Trawangan, he said that I had to try Hart Coffee. And I agree with Eric, Hart Coffee Lane is the place to go, to get your fix at Gili Trawangan. 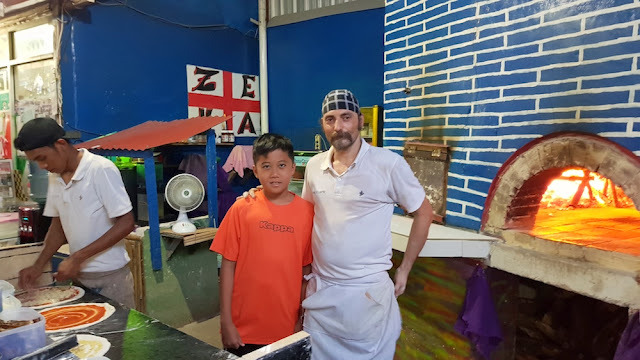 This place was also recommended by Eric to get the best pizza in the island: Pizzeria Regina. Though we only ordered their margheritta pizza, it was delish! 6. 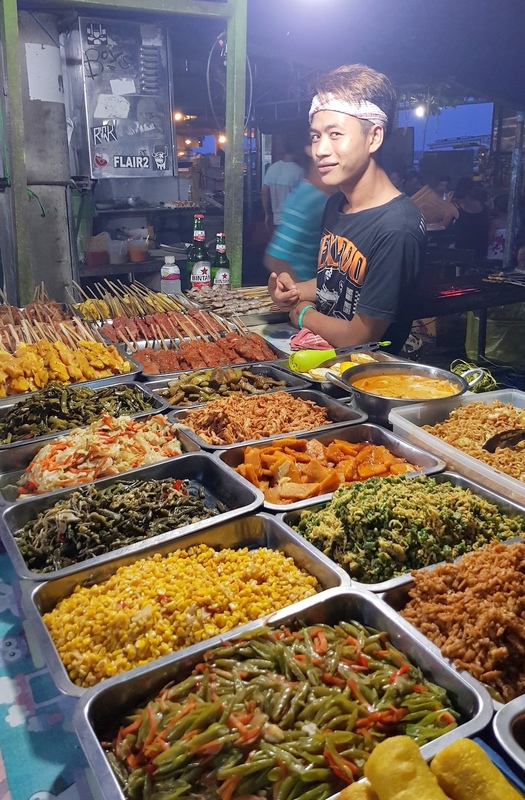 The Night Market at Gili Trawangan Is Not To Be Missed! 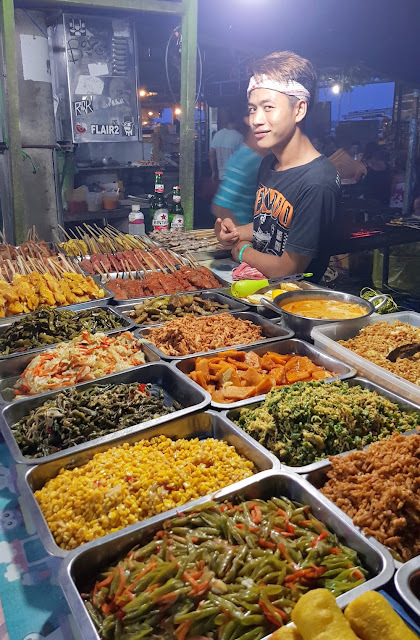 If you like grilled seafood, than head to the night market. Located near the port of Gili Trawangan, you can eat fresh seafood at an affordable price. 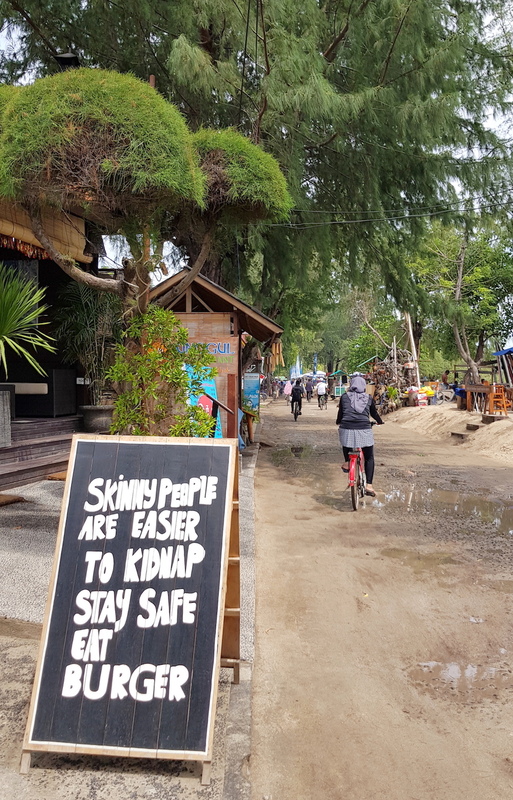 Of course what we did in Gili Trawangan was slow jogging in the morning, cycling to get to places for lunch, trying various food at the island and swimming whenever we loved to. Our life was at slow pace. There's one day we tried the snorkeling near Gili Meno and Gili Air. 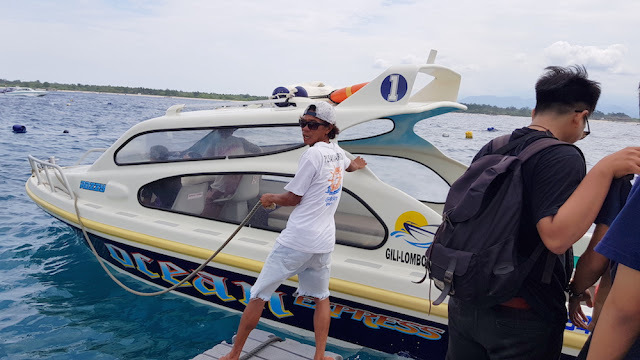 We chartered one glass bottom boat for IDR550,000 including the snorkeling equipment. And we went to the statue at Gili Meno. Too bad at the second stop near Gili Air, we couldn't spot the turtle. There's also a public snorkeling at 10.30 am which covers Gili Air and Gili Meno. Bu we didn't want to go with so many people in one boat, so we choose the private snorkeling trip. 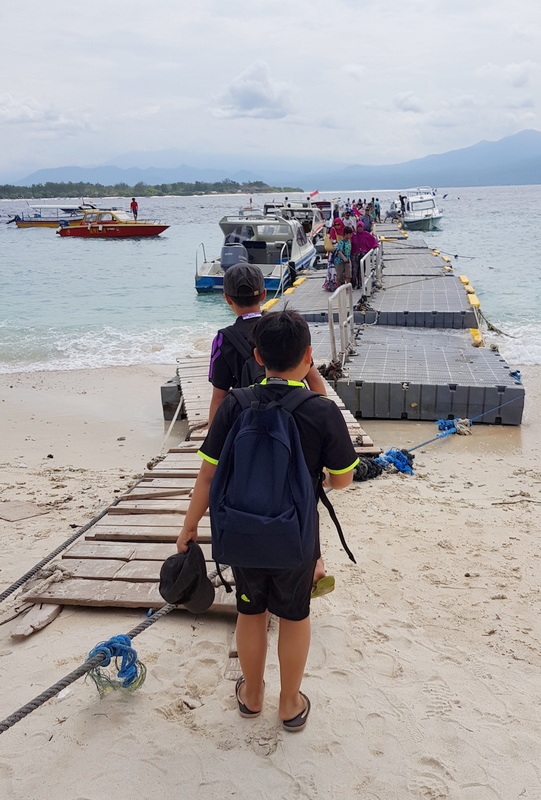 Our 5 days at Gili Trawangan was unforgettable. It was amazing to live in a place without cars and motorcycle. Thank you Gili Trawangan, I hope to be back and explore another "Gili" real soon. 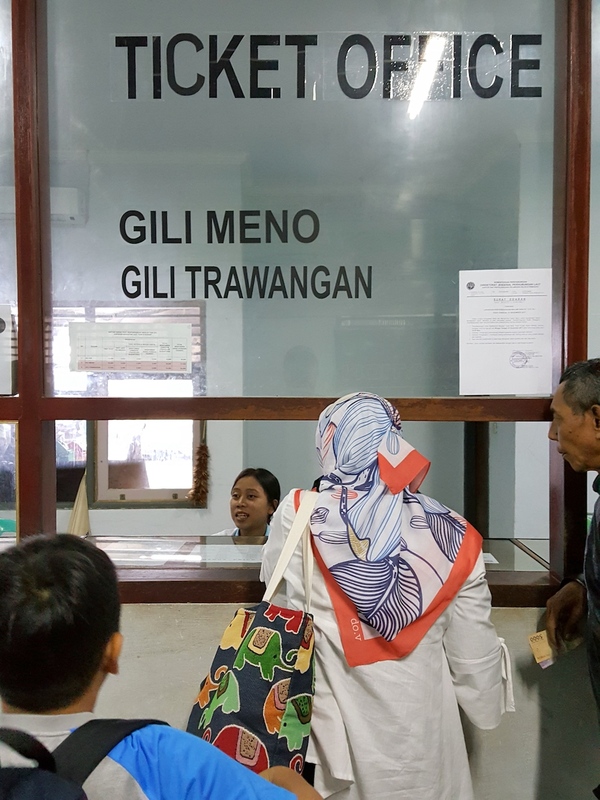 Wah gitu ya Mba Fitri..aku waktu kesana airnya tenang banget Alhamdulillah. 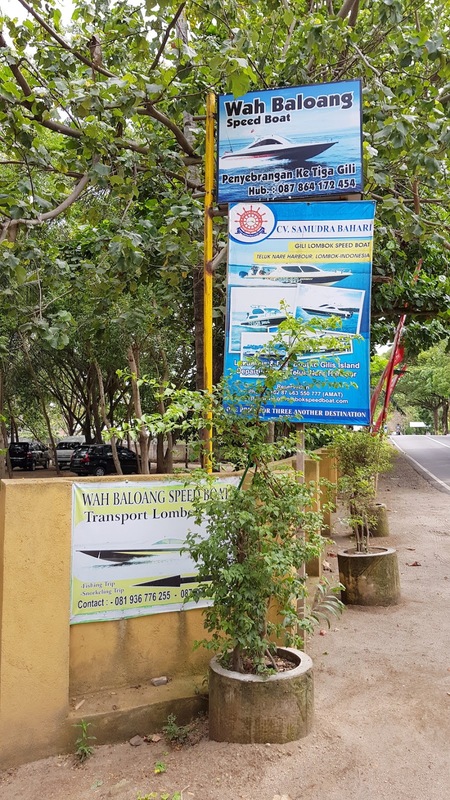 Aku malan kebih suka naik public boat daripada speedboat hehe..
Wah aku diurusin driverku Tapi kalau Mba liat gambar di atas, ada no tlp nya. Di foto yang pintu masuk ke Teluk Nare.